What’s a good romance you recently read and can recommend? Not far from the house where I grew up was a used bookstore with a gigantic room full of nothing but romance novels. They had a trading system for used books, which meant I could buy as many books as I wanted and trade them in later for even more. You can’t beat that! The Princess of Surhaadi is desperate to escape a life lived in the shadows of her family’s past. One misguided night of rebellion later and Leila’s world comes crashing down thanks to two little blue lines on the pregnancy test! When James Chatsfield—world-renowned bad boy and soon-to-be father —hears the shocking news, he knows he needs to act, and fast! He’ll propose to protect his heir, but will Leila ever believe he sees her as more than just the mother of his child? Have you ever met someone and had an instant connection where you felt like this person had always been an important part of your life? That’s what I imagined was happening when Leila met James. They just fit. Leila, the Princess of Surhaadi, is absolutely adorable. She’s easy to like from the very beginning, and if anyone deserves good things to happen in her life, it’s her. She speaks English well, but she doesn’t always understand the nuances of the language, and she’s led an extremely sheltered life, so social niceties are lost on her. Still, she’s quite lovable. Enter James Chatsfield. Like all the Chatsfields, his reputation isn’t sterling, and he has plenty of scandal in his past, but he seems like a man who has been seeking a better life for himself. James has an intuitive understanding that the rules of romance are different with Leila. He doesn’t navigate this romance perfectly, but he catches on pretty quick as he sets out to win Leila’s heart. Their journey to a happy ending isn’t all hearts and flowers, but it is a sweet and satisfying story. I think you’ll enjoy it! 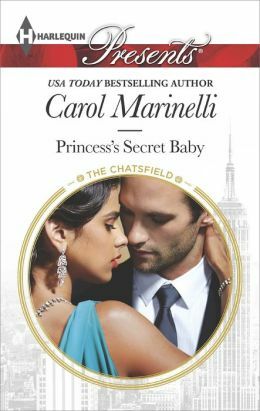 Princess’s Secret Baby is #11 in The Chatsfield Series, but easily stands on its own.